For Southern California companies working on a project requiring inbound telemarketing work, call LaBell Exchange today. Our phone answering service can be a cost-effective solution when clients send out mass emails or mailings that require live person followup. Whether you are looking to register attendees for an event, capture leads, or have orders processed on your behalf, LaBell Exchange can help. With almost forty years of experience in the call center industry, LaBell Exchange can be trusted to provide professional, courteous, and accurate inbound telemarketing services. 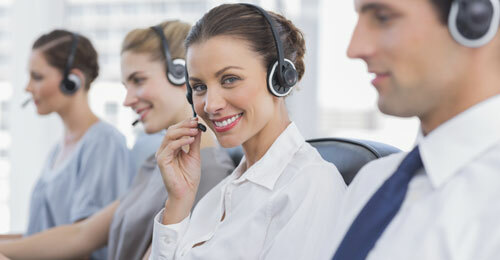 These services are conducted by our highly experienced and skilled phone operators, who are thoroughly trained in how to work with a personalized script and a variety of order taking systems to efficiently and accurately answer questions, give product and pricing information, take orders, and verify payment and shipping information. We can answer calls going to a pre-existing number or provide you with a new, dedicated local or toll-free number for as many campaigns as you are managing. Additionally, to further customize our inbound telemarketing service, we can provide order batching, analytics, call recordings, and more. Call family-owned and -operated LaBell Exchange today for a free, onsite consultation. A seven-time recipient of the ATSI (Association of TeleServices International) Award of Excellence, our company is nationally recognized for our high level of customer service and call center expertise. We've served thousands of customers in Orange County, Los Angeles, and San Diego in a diverse range of industries, including medical, dental, towing, plumbing, HVAC, legal, and more.